This is our summer carrot harvest straight from the ground. In dry times like it takes very little effort to release these sweet root vegetables from the soil. During our high season, we typically harvest 800 to 1,000 bunches of carrots two or three times a week. It takes 10 field crew members about 2 hours when the harvest is easy, the weather is good, and the crop is healthy. The crew bunches the carrots as they harvest from the field. We don’t weigh or measure specifically, but our crew ties together about a pound of carrots in each bunch. These bunches are loaded on a flat bed and delivered to barn for a high-pressure hose wash.
We get remove the majority of the soil with the hose, then the carrots are put through an additional wash as they move down the rolling table where they are received and packed. The rolling table works well for us because it give the produce a chance to drip dry before packing, and it decreases the amount of product handling, making our process more labor-efficient. Once packed, our carrots are stored in a cooler until they are shipped to their final destination, such as the farmers’ market, restaurants, or our CSA or farmstand. Our strawberry crop is abundant this year. It is the best we have seen in a while. You can find these ever-bearing Seascape strawberries at our markets or at our farm stand. While prices may vary from market to market, you can get some good deals if you by in bulk. If you are able to, buying in bulk is a great way to stretch your market dollars. Canning or freezing is great way to stretch the strawberry season! Read Daniel Blaustein-Rejto’s blog post Cost-Saving Tips for Shopping at Farmers’ Markets for some more great ideas to stretch your budget. It can be hard to not eat all the strawberries fresh from the pint! When I have a little excess of fresh seasonal fruit, I like to blend the sweet goods into a morning smoothie. Smoothies are great way to pack in some protein and other less-tasteful, nutrient-dense supplements. It makes for a great workout recovery beverage, if that is your thing. The little ones will think they are getting dessert for breakfast. Use a blender and process until desired consistency. Add more fruit to thicken or more liquid if too thick. I like to add fresh market greens when they are around. I have found that you can get away with adding a few leaves of almost any greens without compromising the flavor of the smoothie. I like to use kale, collards, or chard. Our local natural foods co-op in Corvallis, First Alternative, has a great smoothie supply section in the bulk cooler at their North Store. You can find raw powders of acai berry, camu camu, maca, mesquite, wheatgrass, and cacao, whole hemp seeds, bee pollen, soy lecithin, and cacao nibs. They also have carob powder and great superfood smoothie mix from Bright Earth Foods. Buying in bulk eliminates packaging waste, is less expensive because you are not paying for individual packaging costs, but perhaps best of all you can assess the product before you buy it for freshness and color. You can also buy exactly how much you would like to try or use. It is a good thing! The best thing about rhubarb for me has always been that it is red. In the usual Pacific Northwest Spring through to “Junuary” (a common term used by market folk) the weather is usually cool. Spring feels “late,” and the dedicated GTF market crew will do all that we can to keep the donuts from getting rained on. At sunrise when you open a market tub full of rhubarb, you are excited to see the rich and vibrant red amongst the sea of green you will need to display before the crowds start rushing downtown. Unlike many of the market shoppers, I don’t have great memories of strawberry rhubarb pie. I am not sure we ate much pie at all during my childhood. And to be honest, I always thought it strange for the combo; rhubarb and strawberries don’t have much overlap on the market shelves. I have since tasted strawberry rhubarb pie and it is a no-fail tasty treat, don’t get me wrong, but it isn’t what drives me to pull rhubarb off the shelf. For many years, I passed rhubarb up altogether, until I met and studied with Laura McCandlish, an incredible blogger, writer, and radio personality. She has a way for turning me on to almost anything. Several years ago in a Master Food Preserver class she demonstrated making rhubarb syrup with the same variety of rhubarb that we grow and sell at Gathering Together Farm. The color again was incredible – a hot magenta-pink. She suggested using it in sodas and mixed drinks. Two years ago, she used the same the syrup to make Italian ice with fresh mint. The flavor combo was perfect, and the frozen treat hit the spot for this eight-month preggo, at the time. I started cleaning out my freezer early this year, because unlike the usual Oregon spring, this May feels more like July, and I want to make room for the blueberry harvest. I found two-quart bags of rhubarb and was inspired to make freeze pops to break this unusual heat. I boiled them down, added mint and honey to taste, strained, and voila: the taste of a cool sweet spring in a summery spell. Tonight I had the joy of watching three young boys gobble them down, and my 2-year-old son keeps dragging a chair to the freezer begging for more. In a large sauce pan, cook the rhubarb with some water on low heat. I used about 1 cup of water. Add mint. As the rhubarb starts cooking and more juice collects in the pain, raise heat to medium. When fully cooked, mash rhubarb and mint together. Strain juice into a bowl. Return to pot, add honey and warm until the honey is fully blended. Taste. This is the concentrated rhubarb syrup. Add more honey if you like it sweeter. It should be a nice blend of sweet and tart. For ice pops, you can make a more concentrated pop, or a light and refreshing pop. It’s up to you. I added a little bit of water to the syrup. Pour into molds. If this is your first time using freezer pop molds, make sure that you warm the ice pop by running it under warm water to get it out of the mold. Don’t rush this, you will see the pop starting to release from the sides. Gently tug on the pop to remove. Enjoy! 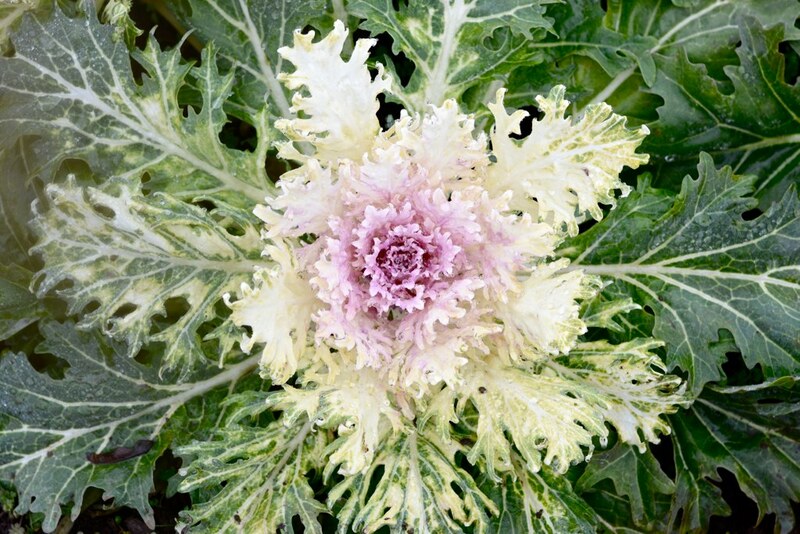 Here’s a bright Peacock Kale for the solstice! Today marks the official beginning of winter, but we’ve already had our first snow on Tuesday, and the river made a brief foray into the parking lot yesterday. There are plenty of gray, rainy days ahead, but we know we’re beginning the journey back toward more sunlight. We’ll be at the Lincoln County Fairgrounds Farmers Market tomorrow with a lot of late-season veggies! Then we’ll take a holiday break on December 29. The Portland Winter Market begins January 5 at Shemanski Park; the Hillsdale Market resumes January 6; and the Corvallis Indoor Winter Market begins January 12 at the fairgrounds. We sure appreciate you all, and we look forward to seeing you again in the new year! This Saturday, December 1st, is the third annual Terra Madre Day in Corvallis. Please join us at the Benton County Fairgrounds, 3-7 PM, for this community celebration of local farmers and artisans. Admission is free, and proceeds from the event will go to support the SAGE Garden and the Ten Rivers Food Web “That’s My Farmer” SNAP Incentive Program. Check out the Terra Madre Day 2012 facebook page for a list of all the local vendors you’ll find there! Our own JC and Paula will be selling breads, cookies, canned goods, and vegetables.